on’t you just love it when one device goes practical and offers a number of different functions just to save you time and money. Digital Magnet presents the world’s first color inkjet mobile all-in-one device. 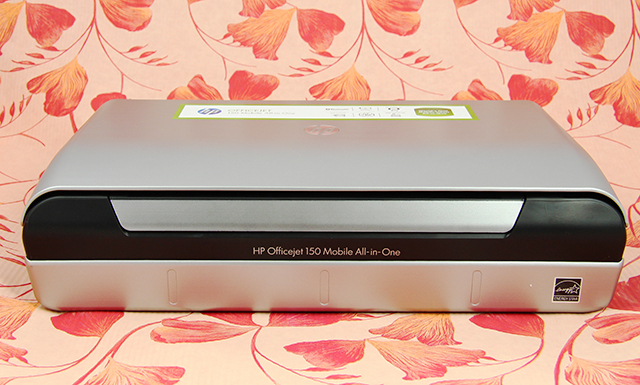 This is HP Officejet 150. This is one impressively tiny machine, having in mind what it can do. Of course we are all fond of the practical technological solutions that are multifunctional as they complete many different tasks and thus they make our lives easy. 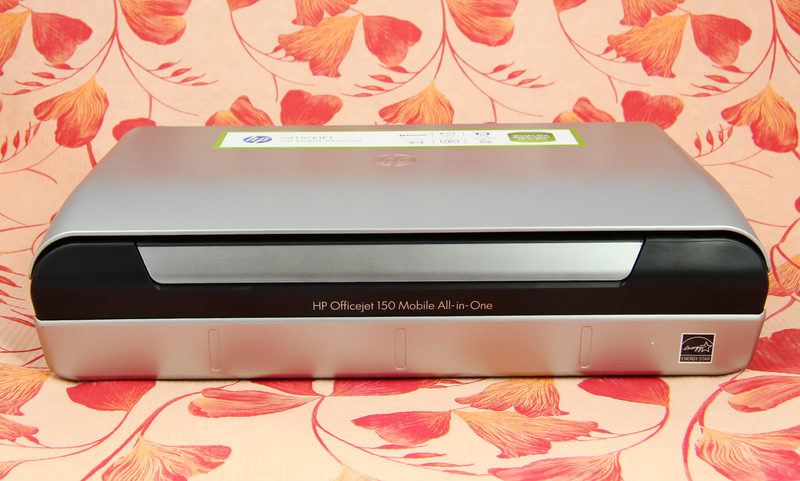 The HP Officejet 150 can print copy and scan using HP Thermal inkjet technology. This is one highly mobile and compact color inkjet multifunctional printer. It is exactly 14 inches wide, 7 inches deep and only 3.5 inches tall. The weight is exactly 6.8 pounds with battery. The device easily connects with other mobile devices for instant and easy printing. But you can easily load and print from an USB flash drive using the USB 2 port. The connectivity capabilities also include 1 memory card slot which supports Secure Digital and Multimedia card formats. The wireless connection is established via Bluetooth 2+ EDR. When you open the lip you find the control panel. It pops out and leans back revealing the scanner and the 50 sheet vertical sheets input tray behind. The device draws the papers from the feeder and delivers the printed pages from the front. Only make sure you are there to catch them as there is no paper tray to catch them. 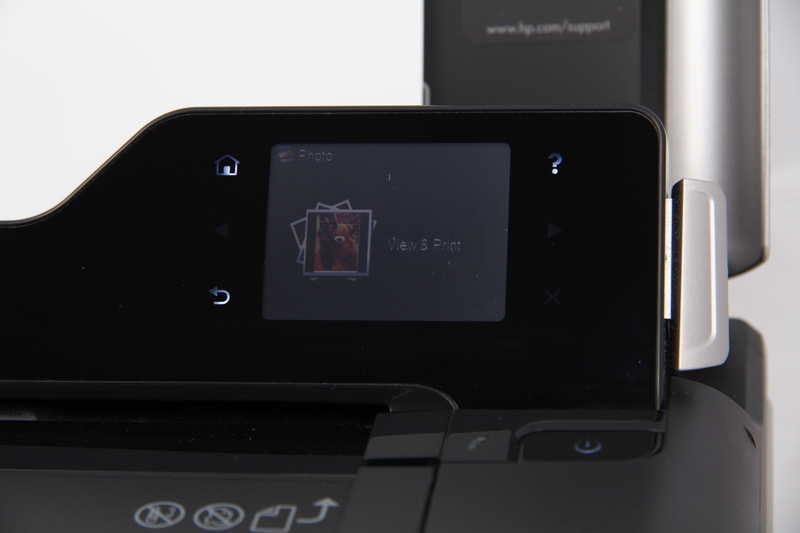 An especially convenient feature is the touch screen display as it provides a 2.3 inch color preview showing what contents you are about to scan, print and copy. 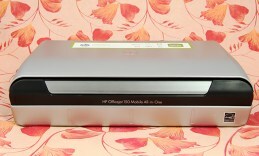 The scanner makes only one copy at a time, so it’s more suitable for home use or not large amounts of paper work. The printer produces around 22 pages per minute in black and up to 18 pages per minute in color. The photo print speeds are far from impressive but it’s definitely worth the wait when you see the final result. 4×6 inch photos print at the speed of 2.7 pages per minute on paper and 0.7 pages per minute on a glossy photo paper. Full-sized glossy prints print at 0.2 pages per minute. The output quality is always high-end, sharp in detail with great colors and excellent contrast ratio. 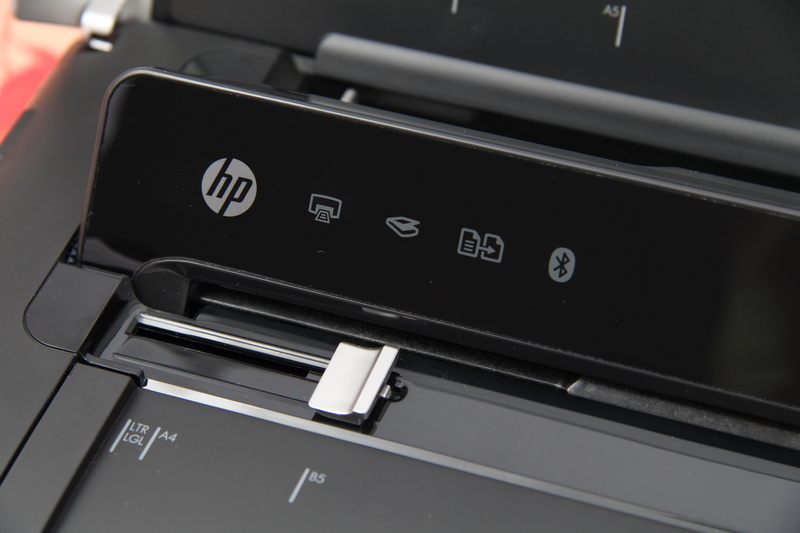 Scan speeds are up to 1.7 ppm for black and white and around 0.9 ppm for color documents of 200 dpi. 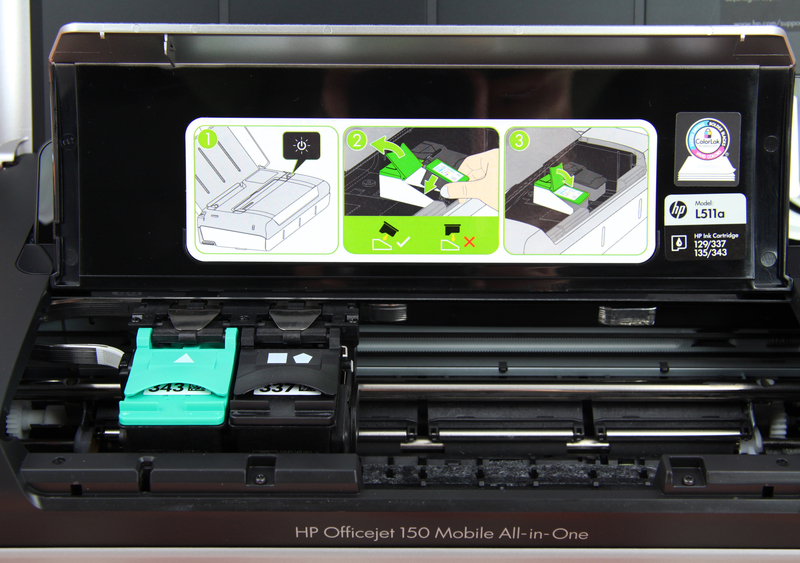 The scanner capacity is also limited to a single sheet. The Lithium-Ion battery on board provides long battery life – it handles up to 500 pages with a single charge. 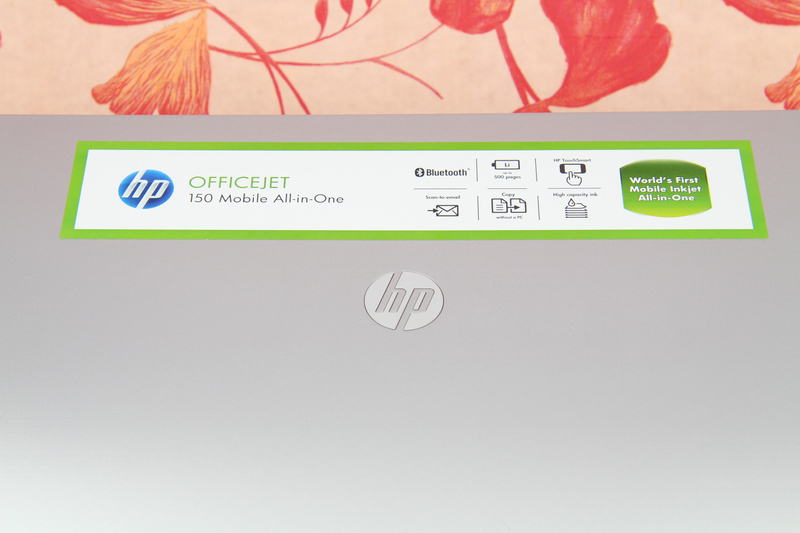 The HP Officejet 150 mobile combines multifunctionality with great compact design and excellent quality prints. All this comes at a reasonable price.